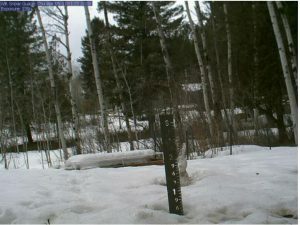 It seems that the snow cover this Spring is significantly slower to melt than in recent years. 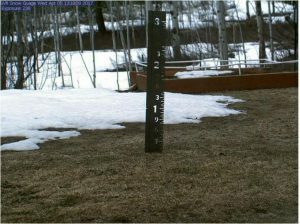 To confirm this the following are the views of the snow remaining on the ground at the Star Valley Ranch snow stake on April 5th for the past three years. The total snowfall in the winter of 2016-2017 through April 5th at Star Valley Ranch was 221 inches. For the winter of 2017-2018 through April 5, 171 inches had been measured. 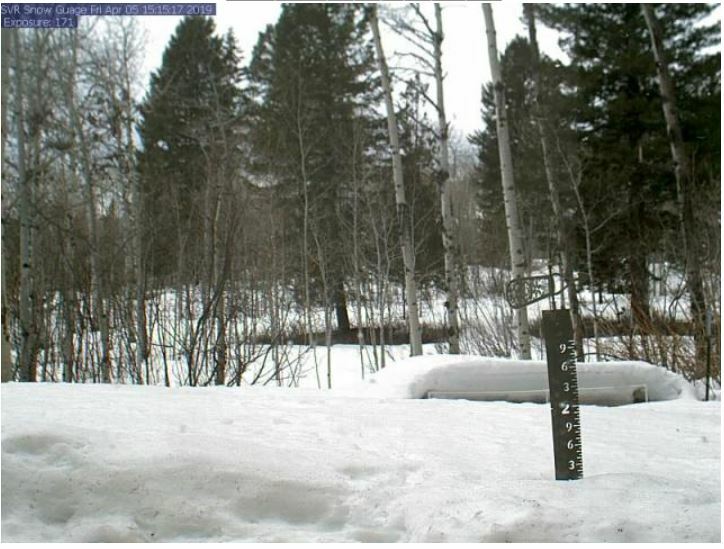 As of April 5th the total snowfall at Star Valley Ranch for the winter of 2018-2019 is 192 inches. 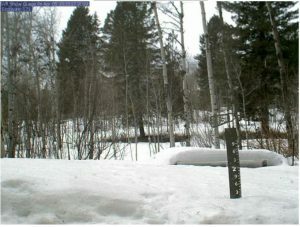 Even though more snow fell two years ago, it was mostly gone by April 5th. Such is not the case this year as temperatures have been cool and are expected to remain so through much of April. Thus piles of snow will likely be around will into May. Following are the forecast temperature departure from normal through the beginning of May.